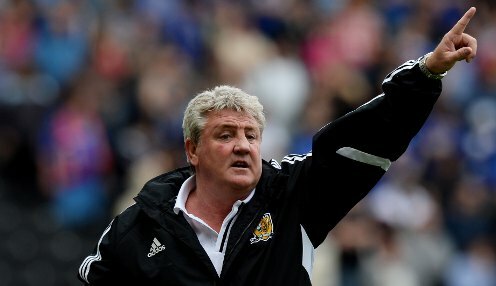 Steve Bruce's Hull City will take on Lokeren in the Europa League. Tottenham Hotspur need to see off Cypriots AEL Limassol to reach the group stage of the Europa League, while Hull City meet Belgian side Lokeren in the play-off round. Both English sides have been drawn away from home for the first legs, played on Thursday 21st August, with the home return legs a week later. We'll be a lot better in our next game - we are still just over a week away from the start of the (domestic) season. AEL dropped into the Europa League after losing 3-1 on aggregate to Zenit St Petersburg in the third qualifying round of the Champions League, with the Limassol outfit currently managed by Bulgarian Ivaylo Petev. In 2012/13 AEL, who have never faced Spurs before, reached the group stages of the Europa League, but finished bottom of a pool which was comprised of themselves, Marseille, Fenerbahce and Borussia Monchengladbach. Hull, meanwhile, can look forward to their clash with Lokeren after defeating Odu Trencin of Slovakia 2-1 on aggregate to win their first-ever tie in European football. Boss Steve Bruce was relieved to see a late Sone Aluko goal send his side through and is confident that they will improve against Lokeren. He told the club's official website: "We'll be a lot better in our next game - we are still just over a week away from the start of the (domestic) season. "People think it is a given when you play against teams from places like Slovakia, but they were a good side with good players." The Tigers can be backed at 1/1 to be relegated from the Premier League this season, with Sunderland 1/1 and Aston Villa 1/1.